We will design the dress of your dreams, always with the highest quality. Mynamour Your Dream Dress Comes True. Mynamour – Be the most beautiful you. Thank you so much dear Myna for helping me get my dream wedding dress. I loved it and everyone was impressed when they saw me in my gown. You did perfect work. Im from England and I know Mynamour through a colleague who got her dress from them. She was so happy with her wedding dress so I asked her where she got it. I bought 2 dresses from Mynamour and every one who attended my wedding was so impressed of how the dresses fit me perfectly. The work is very high quality. Really felt comfortable and beautiful wearing the dresses. Thank you so much for the amazing dress veil and jacket! All the guests were really impressed with it! You are also an amazing person and I am so honored to deal with you! Thank you Myna! My husband is so happy for my wedding gown. he was in tears while I’m walking down the aisle. Even my mom and my husband’s mom loved the dress. Thank u! Find the perfect wedding dress for you! Because every bride is unique we focus our energy and passion to create the wedding dress that is tailored to every ones needs. 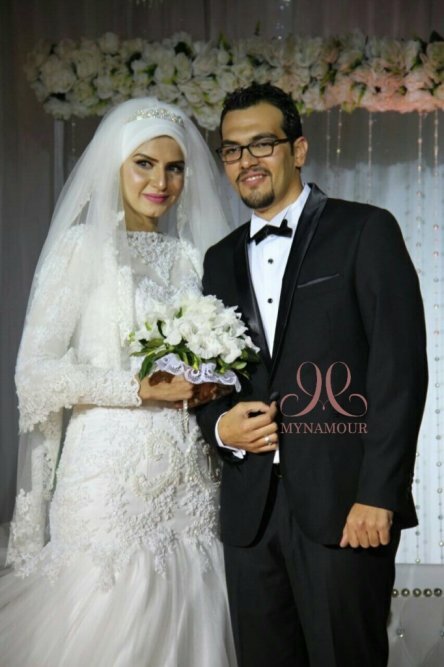 Mynamour has a wide collection of wedding dresses to find your happiness, we can adjust them to fit your size for the big day. If you want a tailor made bridal dress, we will design one for you from scratch adapting to all your needs and requirements. Our team of designers and tailors will put in motion all their love to produce the one for you. 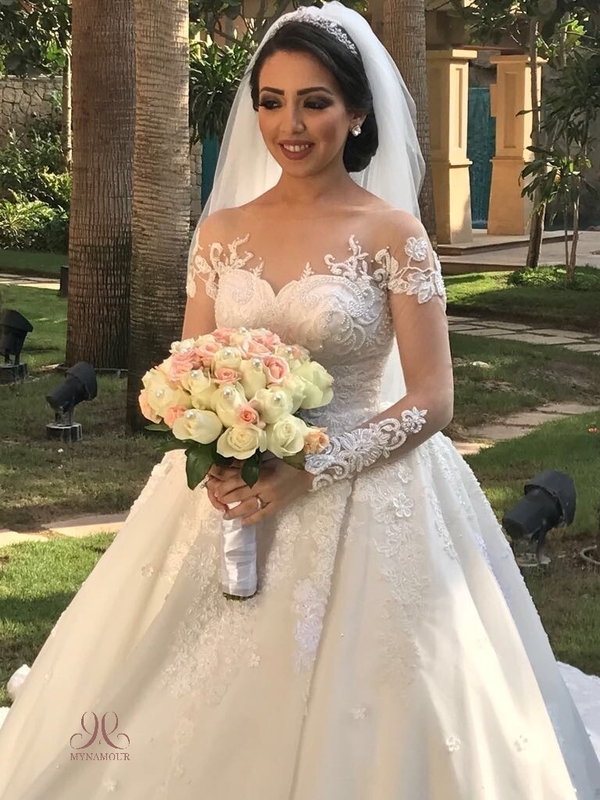 It’s simple, just come and visit our bridal shop or call us for more information, we are always at your service in Dubai, Abu Dhabi and the UAE. Mynamour is unique for its fabulous designs delivered in a record time frame accommodating all the budgets with a smiley and reliable service for your needs. From the conception to the delivery we can make a brand new dress in less than one month. All the Mynamour staff will attend to your needs with the best quality of designs and materials. From an affordable retail wedding dress to the most complex haute couture requirements, we will make it happen. We focus on services as for us it’s not only about to selling a dress, we want to provide you a full experience. 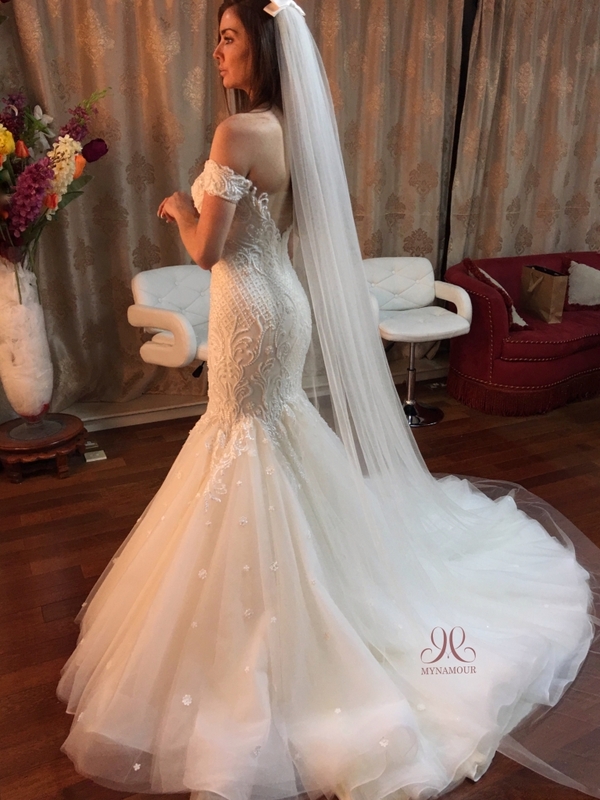 From consulting you on your specific needs, we will spend time to understand what you want then we will take care of all the rest following up with you until your wedding dress is delivered in Dubai, Abu Dhabi, the UAE or internationally. 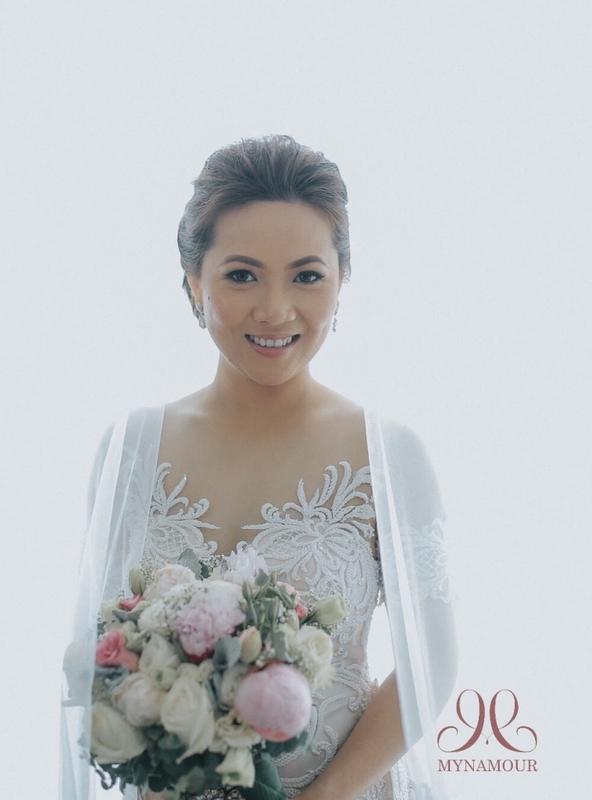 First of all, we advise you to start researching about wedding dress at least a couple months before your wedding day to understand what you really want. We have some brides coming one year before, but we also had some brides come just 10 days before and we could accommodate them, however they had less choice. We together will find out the best dress for your silhouette and body type, we have expert consultants always ready to help you with their willingness. Also don’t hesitate to take pictures to show to your family and friends, they generally have good advice. Finally don’t hesitate to bring along models of bridal dresses that you like from magazines or online source, we will analyze your taste and make the customized dress with your own measurement and requirement. 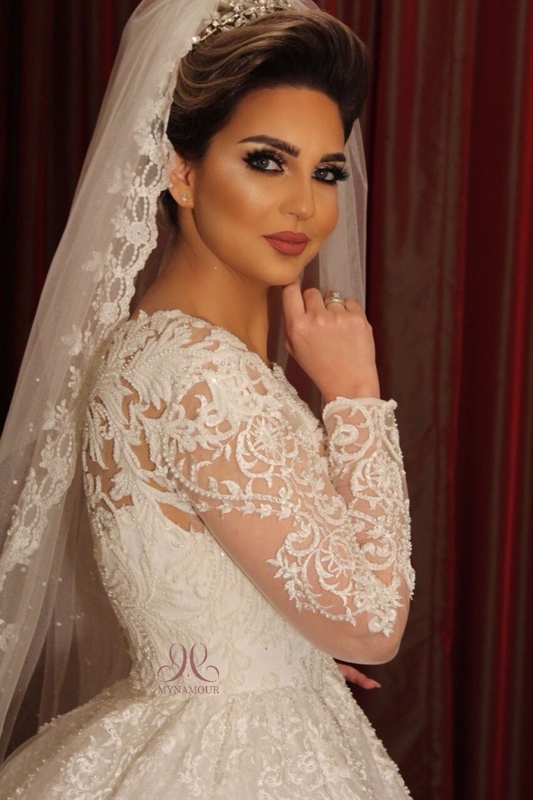 Our brides are locals form all over UAE or come from more than 60 different countries around the world. Follow us to remain updated about Mynamour and its new creations! With our beautiful creations, celebrate your most cherished day with elegance and style!